Independent, impartial, informative – the SWR (Southwest German Broadcasting Company), a modern media enterprise. Nine regional broadcasting institutions and one federal institution make up the members of the Erstes Deutsches Fernsehen (ARD). Since the beginning of 2009 Peter Boudgoust, Director of the SWR, has been managing ARD operations from Stuttgart. "Überall Fernsehen" is the title of the new, digital antenna television (also known as "terrestrial" TV) in Germany. Under the umbrella organisation Initiative Marketing Digital Radio (IMDR), well-known terminal equipment producers, network operators, programme providers and institutions are committed to promoting the introduction of the new digital radio standard. On the internet pages of the Stuttgart-Marketing GmbH you'll find an overview of Stuttgart's attractions, current events, bookable tours, accommodation options and lots more besides. 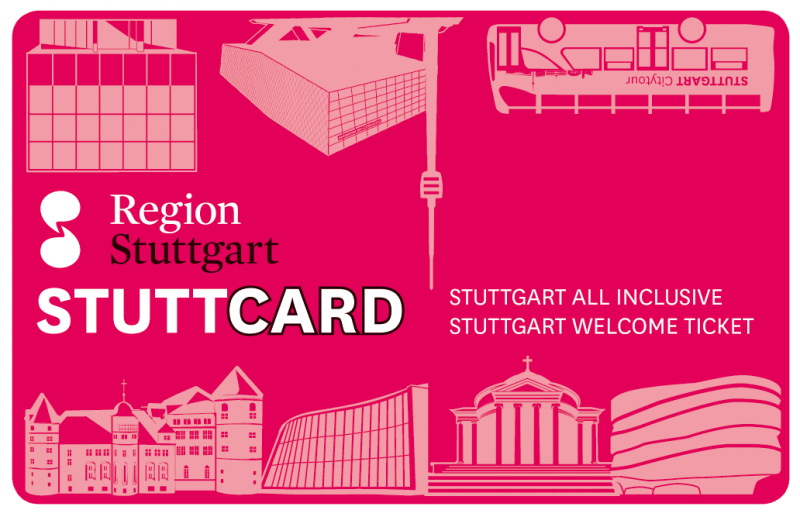 With StuttCard you get free admission to all museums and a lot of leisure facilities and also benefits at selected theaters and retail partners. 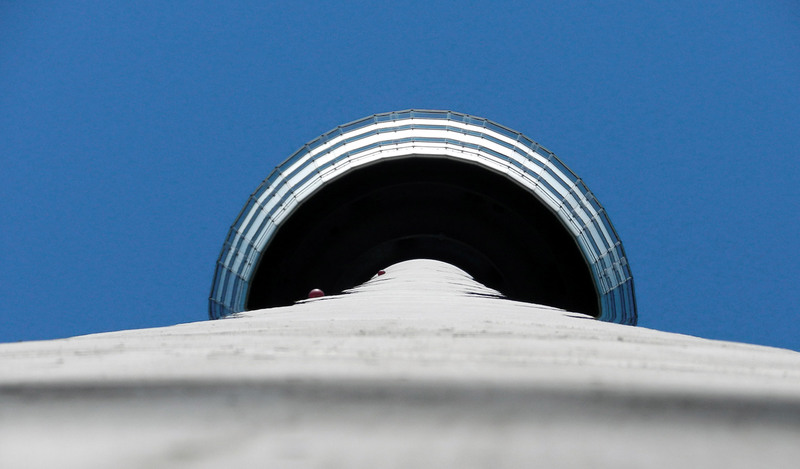 The StuttCard is available at Fernsehturm. 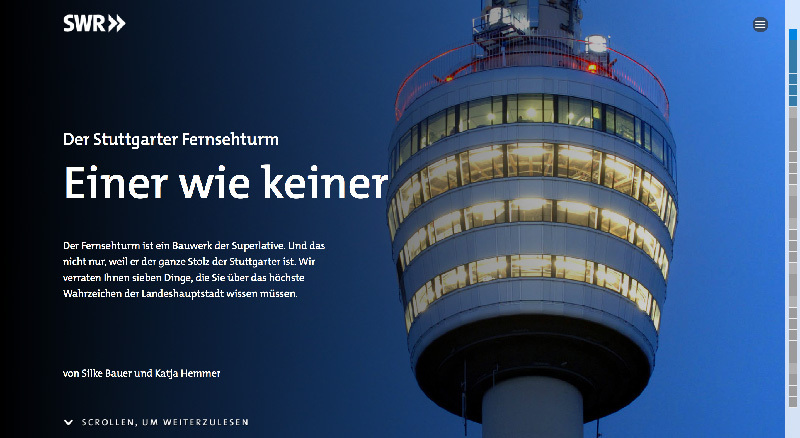 "Fernsehturm loves green electricity": The TV tower purchases green electricity from Stadtwerke Stuttgart. The Stadtwerke Stuttgart, Stuttgart's public utility providers, are creating new perspectives as far as energy goes. The municipal company was relaunched in 2011 and consistently promote the use of renewable energies. The World Federation of Great Towers (WFGT) was founded in 1989 as an international association of great monuments with the aim of showcasing them globally and developing advertising strategies. Emporis describes itself as the most comprehensive database for buildings worldwide. Its contents are compiled and supervised by an internationally operating network of online editors. Here you'll find several hundred thousand buildings and associated specialist firms.